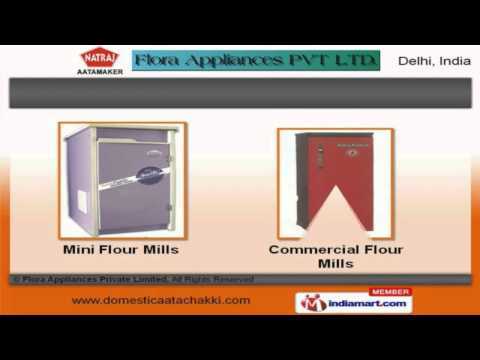 Welcome to Flora Appliances Private Limited, Manufacturer and Supplier of Domestic Flour Mills. The company was established in 2000. Our qualified and skilled workforce and Sound infrastructure facilities help us to achieve a present repute in the market. Dimensional accurate products, Immense industry experience and Timely delivery schedules are the factors that help us to stay ahead of our competitors. We offer a wide assortment of Aata Maker, Flour Mills and Vacuum Clean Harmony. Our Home and Standard Flour Mills are best in the industry amongst others. Mini and Commercial Flour Mills offered by us are widely appreciated in the market. Our Spice Grinders and Grain Flour Mills are well known for their outstanding performance. We also provide Electric Flour Mill for Food Industry that are extremely reliable. Along with that we offer Vacuum Clean Harmony for Hotels that are a class apart.